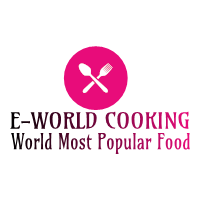 Butter Chicken Recipe ~ E-World Cooking-The World Most Popular Food. 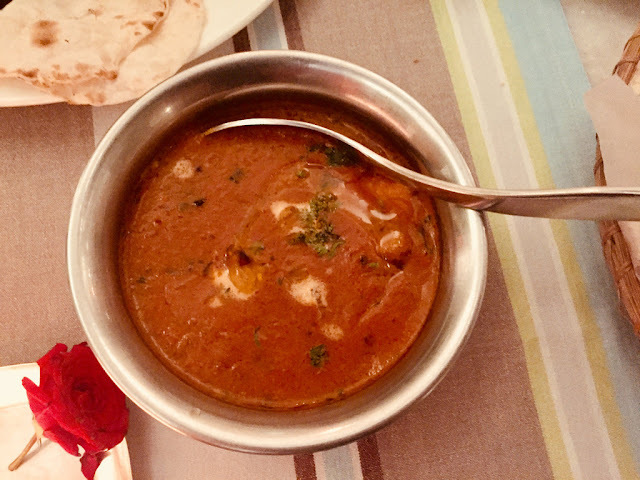 Butter Chicken Recipe this post is guiding you how to cook butter chicken at your home that taste absolutely spicy and delicious. Pieces of tandoori chicken cooked in a smooth butter and creamy tomato based gravy are known as butter chicken. To make the butter chicken recipe first we need to fry or grill the chicken in a pan or tandoor & cook it up in the rich gravy. Butter Chicken is one of the most famous dishes & paired with naan, kulcha and different type of rice. Kashmiri red chili powder-1 tbsp. Tomato sauce/sugar or honey-1 tbsp. To prepare the butter chicken first marinate the chicken. For marination take 500 gm. chicken &squeeze in 1/2 cup lemon juice. Add little salt according to your taste, 1 tbsp. Kashmiri red chili powder, here I am using Kashmiri red chili powder because of good taste as well as color. Also add, 2 tsp. ginger garlic paste, 2 tbsp. fresh curd, Mix all the ingredients very well. You can also give cuts in pieces .cover with cling wrap & put it inside the freezer for half an hour. After half an hour, take out the marinated chicken inside the freeze then remove wrap & shallow fry chicken pieces. First, take a frying pan and add some vegetable oil, once the oil heats up shallow fry Chicken pieces until cooked & turns golden brown. Change sides & cook on low flame so that chicken cooks in the moisture of curd. Cover it & cook for 8 to 10 minutes on low flame. Keep aside chicken pieces once cooked. Now heat a tablespoon of vegetable oil in a kadai & add 1 medium diced onion, sauté it for 2 to 3 minutes. Once a little translucent add a tsp. ginger garlic paste (use less ginger garlic paste because we already use ginger garlic paste in chicken marination). Especially for butter chicken add a handful of chopped cashews & 2 large tomatoes roughly chopped. Also, add salt to taste & mix well. Cover the lid and cook for 2 to 4 minutes until tomatoes soften. Blend into a smooth puree & keep it aside, do not use water. Now in a kadai add 1 tbsp. fresh butter & 2 tbsp. vegetable oil. For butter chicken you can also use only fresh butter it’s depending up to you. Also, add 1 Tsp. red chili powder,1/4 tsp. turmeric powder then mixes & immediately add the puree. Add 1/2 cup of water and stir it after 2 minutes add 2 Tsp. coriander powder, 1 tsp. Red chili powder. Mix all the spices well. Now in this gravy add chicken pieces and mix. Cover and cook for 3 to 4 minutes until oil separates. Open the lid and mix well. After 3 to 4 minutes add 1 tbsp. of tomato sauce/sugar or honey, few fenugreek leaves & little cooking cream. Finally mix it very well. Lastly, add 1 Tsp. garam masala powder & cover lid to cook for 3 to 5 minutes. After 5 minutes butter chicken is ready to serve. It’s a very delicious and spicy recipe at dinner or lunch time you can try it at your home and give your valuable feedback. To get the latest update please subscribe and click on the bell icon, to know more click here.